The immersion cleaning system MOC DOLPHIN is a standard-setter! Perfect cleaning thanks to an efficient combination of immersion, oscillation and ultrasound. The stroke and oscillation can be configured individually. A further advantage of immersion cleanin is that parts which were in contact with the medium are automatically rinsed. MOC DOLPHIN can be used with both standard stacking containers as well as the standard MOC basket. 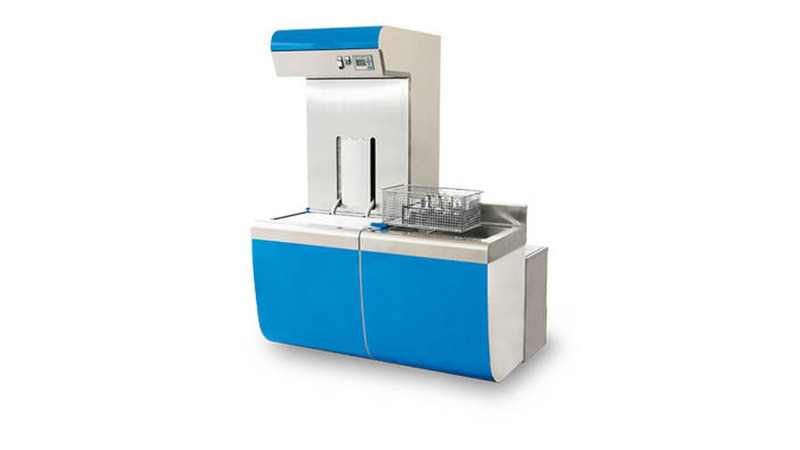 Details such as a lid with a condensation wiper or the integrated extraction result in the perfect working environment. Our machines are practically maintenance free!